A 13-acre park with a playground, a playing field, and the "Albuquerque Apparition" neon lights public art sculpture. Hours: Daily, dawn to dusk. 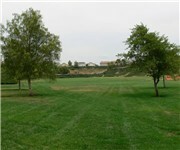 How Would You Rate Korean War Veterans Park (Loma Linda Park)?